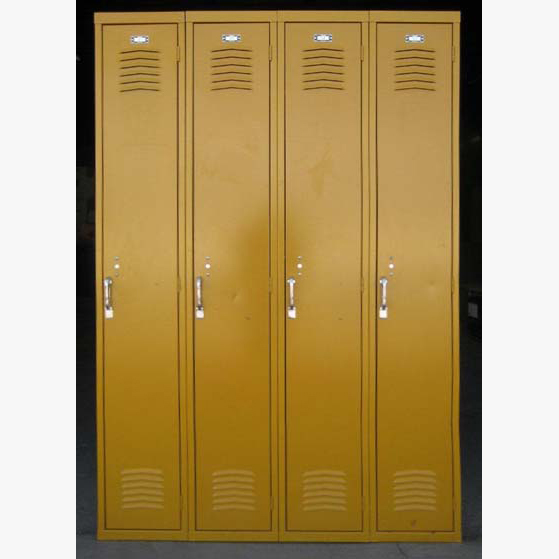 These Yellow Single Tier Interior Metal Lockers are available on www.buyusedlockers.com where they have a huge selection to choose from if we need additional supplies. 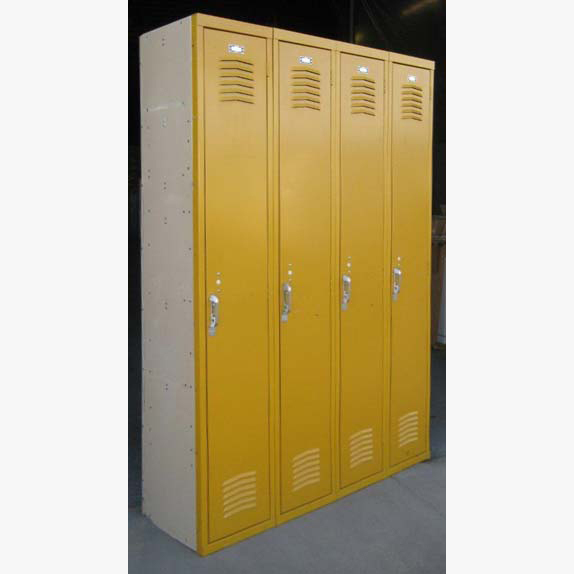 Fantastic used metal lockers at discounted prices! They are fully functional and will provide years of optimal, maintenance-free service. 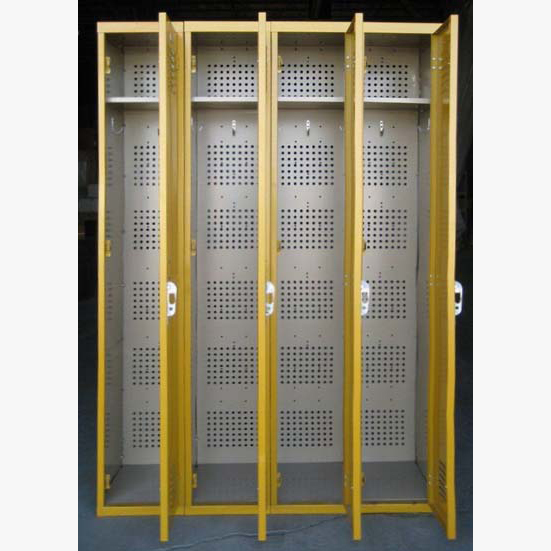 Each is padlock-ready and features a sturdy upper storage shelf and several hooks for hanging clothing, bags, uniforms and other items vertically. 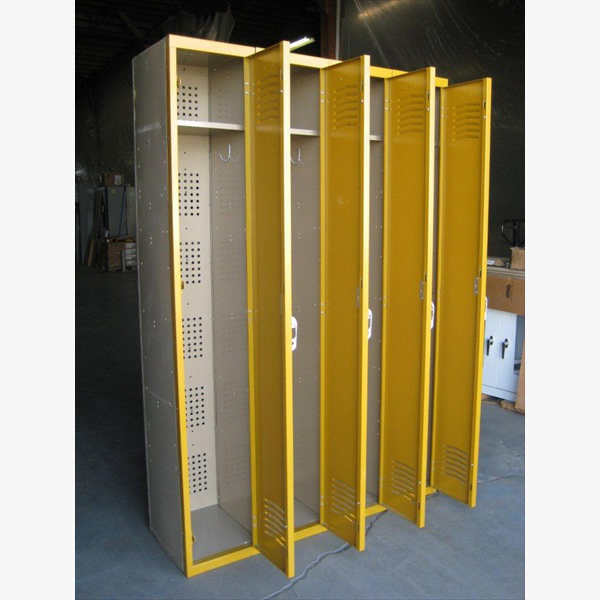 In addition to louvers on the front of the doors, these have ventilated back panels to allow for added ventilation, making them ideal for gyms, locker rooms, pools and fitness centers!